The Center for Women in Law (CWIL) represents the vision and commitment of its Founders, a dedicated group of alumnae and friends, who conceived of CWIL and provided the initial funding for its endowment. CWIL proudly has 50 Founding members, 12 of whom are not Texas Law alumnae. 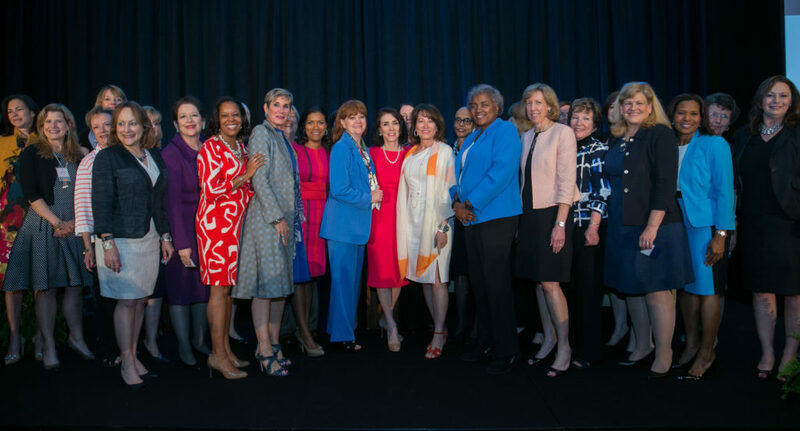 We hope you will follow their example and consider joining one of CWIL’s Power Circles with a generous gift or pledge to secure the future of CWIL and, through its work, of all women in law. Membership in special circles recognizes gifts at various levels and helps to integrate our supporters into our work. Both alumnae and non-alumnae are welcome to participate in CWIL’s Power Circles. The Alice Sheffield Circle consists of donors whose cumulative gifts to CWIL exceed $100,000. This Circle honors Alice Sheffield, Class of 1918, the second woman to graduate from Texas Law and the youngest woman certified at that time to practice before the Texas Supreme Court. Sheffield donated more than $500,000 to The University of Texas during her lifetime and bequeathed $3.5 million upon her death, making her the school’s most generous benefactor up until 1985. She began working for the Gulf Oil Corporation in 1925 and spent her long and successful career in its legal department, advancing to associate general counsel. We look forward to the day that our collective efforts match her generous gifts. CWIL recognizes these generous donors on a listing on a plaque at Texas Law as well as on our website and at the biennial luncheon. They are invited to the Women’s Power Summit, to the Annual Retreat, and to other CWIL events such as the biennial luncheon, Women in Law Institute, and student events. Members who additionally make annual gifts of $1,000 or $5,000 are recognized on our website as “Sustaining” or “Major Sustaining” respectively. The Champions Circle consists of donors making pledges and gifts of $50,000 or more. CWIL recognizes these generous donors by a listing on a plaque at Texas Law as well as on our website and at the biennial luncheon. They are invited to the Women’s Power Summit, to the Annual Retreat, and to other CWIL events such as the biennial luncheon, Women in Law Institute, and student events. Members who additionally make annual gifts of $1,000 or $5,000 after their pledge is complete are recognized on our website as “Sustaining” or “Major Sustaining” respectively. The Leaders’ Circle consists of donors making pledges and gifts of $25,000 or more. CWIL recognizes these generous donors by a listing on our website and at the biennial award luncheon. Leaders are invited to the Women’s Power Summit, to the Annual Retreat, and to other CWIL events such as the biennial luncheon, Women in Law Institute, and student events. Members who additionally make annual gifts of $1,000 or $5,000 after their pledge is complete are recognized on our website as “Sustaining” or “Major Sustaining” respectively.